The enemy is destroying one Muslim country after another. In other Muslim countries, the enemy has installed puppet regimes to do its bidding. Why do we let this happen? Why has the enemy been so successful in carrying out its plans? What is it that we are not doing that enables them to do what they in our countries, to our people? The Leader speaks. Why do we keep repeating, \"enemy\", \"enemy\"? Is it an overkill? 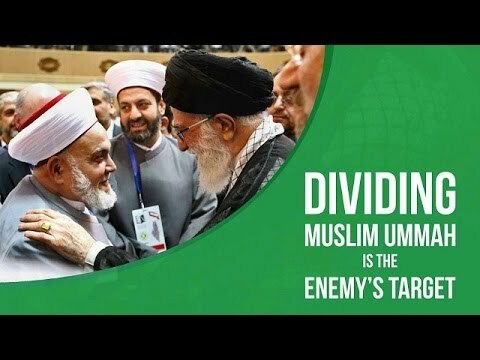 Who is the enemy? What happens if we are negligent in this arena? What happens if we are not united The Leader speaks.